Congrats on purchasing your first guitar. I hope that my complete guide on purchasing the guitar helped you in finding the perfect guitar for yourself. Now is where the rubber hits the road. 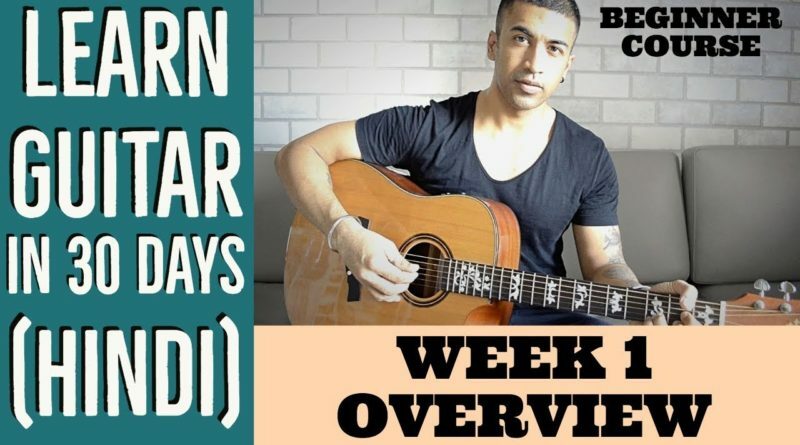 This course has a total of 67 videos with bulk of the lessons being in Week 1. So obviously a lot of work needs to be done in the next 7 days. Which is why I have made this quick video to share with you, all the topics that we shall be covering this week. Similarly before the beginning of every week, I shall share with you beforehand about what lessons you will be facing in the coming days. Day 1 will be primarily about knowing your instrument. 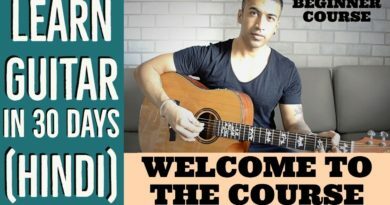 So we shall cover topics like what are all the parts of a guitar, how does a guitar work which will cover both acoustic as well as electric guitar, the correct way to hold a guitar (yes there is a correct way and many incorrect ways which incidentally a lot of beginners fall for). We will also be covering the numbering of the strings, which will help us during the lessons as well as the exercises that we shall be doing later, the name of the guitar strings (which notes that are tuned to and some easy fun ways to remember them) and finally we shall take an in dept look at how to use the Guitar Tuner and the Metronome. Day 3/4/5 will be all about left hand exercises (10 in total) which I still continue to do after 20 years of playing. These are the foundational strength building workouts that will determine how comfortably you are able to finish this course. 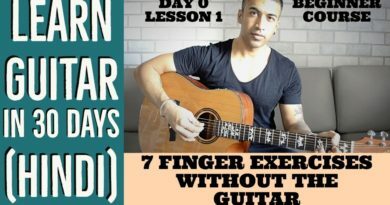 Day 6 is when we shall learn how to read charts, understand strumming notations and learn out first chord along with a very basic strumming principle. Lots to be done folks. See you in the shed!!!! 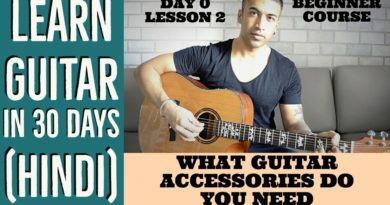 (Day 0 Lesson 2) What Guitar Accessories Do You Need?